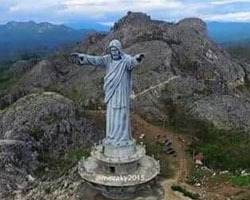 Buntu Burake located in Makale on the Hill of Burake, it's the tallest Jesus effigy in the world, the view from the hill is very impresive where you can see all Toraja with rounded by mountain sorrounding and rice field terraces. we also arrange the Toraja trekking or other part of sulawesi for with camping tent, where You will feel the free atmosphere in mountain or rain forest. will be always depend of Your choice of our trails. 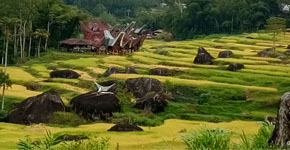 Trekking in toraja can be choose from easy, moderate or hard trekking. Mountain Climbing also will be more special, trekking in the rice field, trekking in forest will be a special experience.